• This calendar is for your convenience. Dates, payments and conditions are subject to change and APHA is not always notified of changes. Verify conditions, dates and payments with contact person. 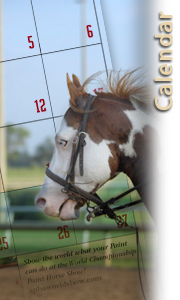 • This calendar may contain races which are not considered stakes under APHA rules.